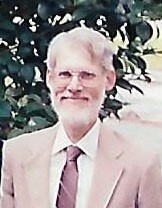 Stephen John Gaignard, Sr., a resident of Suwanee, Georgia and former resident of Duluth, Georgia from 1984 – 2017, died February 9, 2019 after a prolonged illness. Stephen was born on January 22, 1946 in Shreveport, Louisiana to Jules Hubert and Ethel Louise Gaignard, née Banner, originally from New Orleans, Louisiana. Alumnus of C.E. Byrd High School, class of 1963, Stephen graduated in 1969 from Centenary College with a Bachelor of Science in Business and in 1970 from Southern Methodist University with a Master of Arts in Economics. Stephen is survived by his beloved wife of 40+ years, Jacqueline, his daughter Karen Gaignard, and his sister Judy Vinson and her children Stephen and Jon David, as well as by his step-son, William Golden, and step-grandchildren, Jonathan and Matthew Abernathy. He was predeceased by his son Stephen John Gaignard, Jr., his step-daughter Cynthia Abernathy, his parents, and his brother David, a U.S. Navy Ensign who died in service to his country. A lover of nature, rock collecting, puzzles of every sort, history, and literature, he was a master of all that he did, including his hobbies of woodworking and gardening. Stephen was an outgoing, generous, and loving man who will be remembered by his many friends and his extended family as a kind and gentle soul. He will be missed, but not forgotten. In lieu of flowers, Stephen and his family request that donations be sent to Lutheran World Relief (https://lwr.org/).